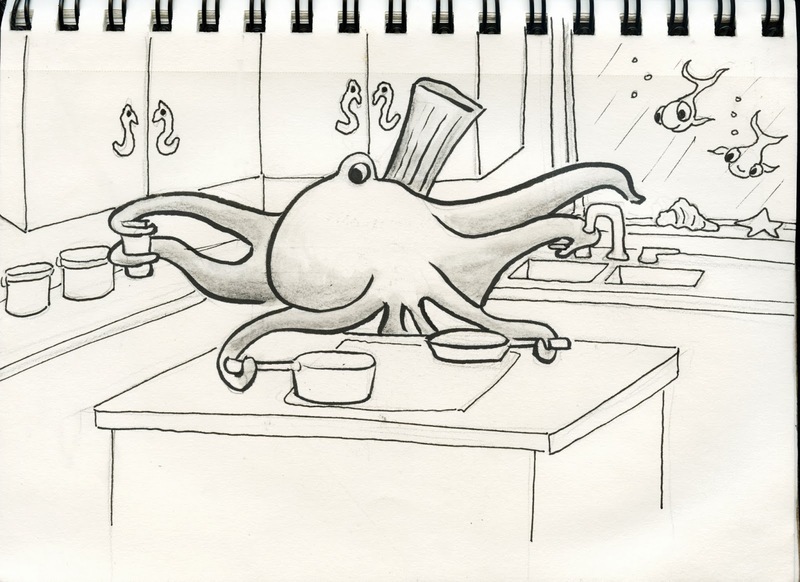 This is a catch up post of my December Doodle Day Cephalopods. I only got to P by the end of December, but I will slowly finish the alphabet, hopefully before the end of January. The Doodle Day prompts in January have been locations (like Bedroom, Bathroom), so I will incorporate those as well. 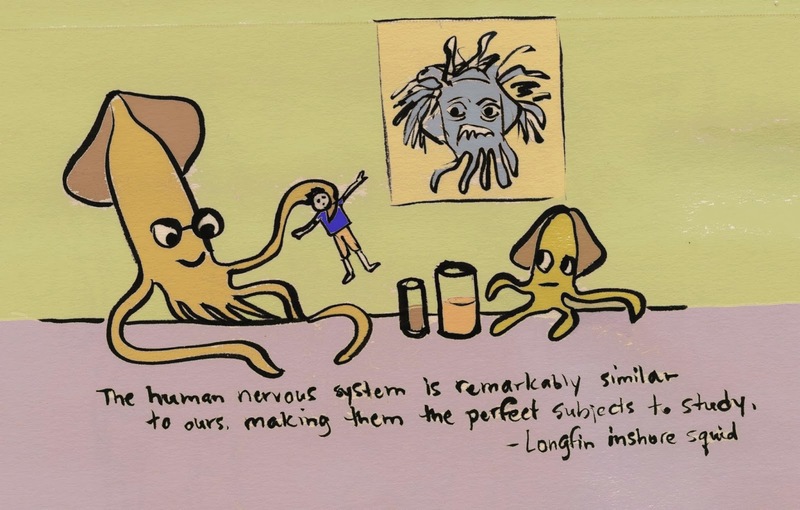 Neuroscientists practice on the giant axon of this squid because it behaves exactly like humans, but is many time larger and easier to manipulate. Also, long fin inshore squid do not have good malpractice lawyers. They are living fossils. The chambered nautilus is the only creature that was still alive 500 million years ago, when the earth's continents were forming. DNA tests have shown them to be virtually unchanged since then. The Magnifico Octopus has hung up his hat and cane, but still dreams of long ago days of bright lights and rowdy crowds. Paul the Octopus was an octopus in Germany who gained worldwide fame for his uncanny ability to predict every winner in the 2010 World Cup. May he RIP. The January Doodle Day prompt was Bedroom. 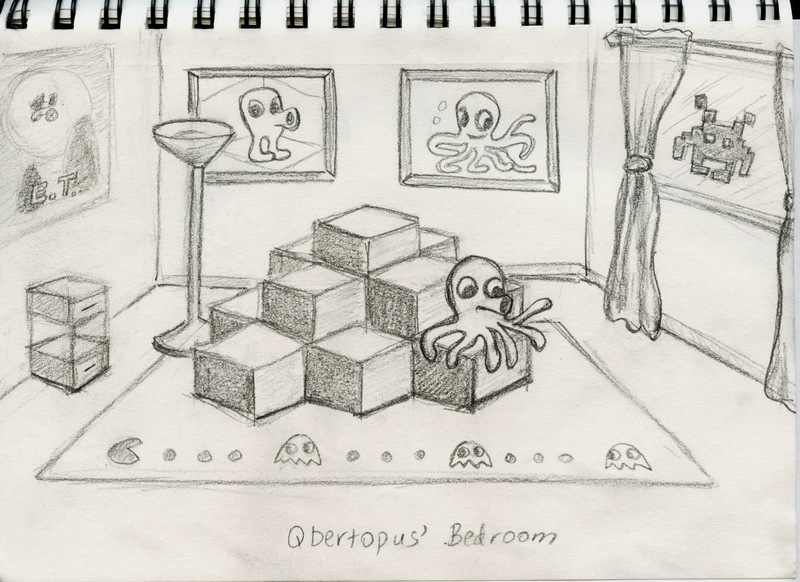 Qbertopus in his bedroom. 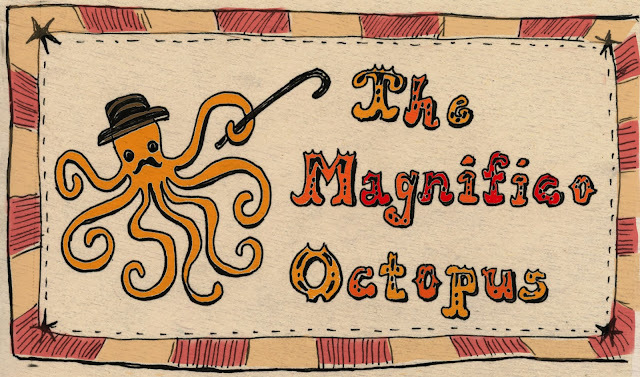 The Red Octopus is, not surprisingly, very handy in the kitchen. 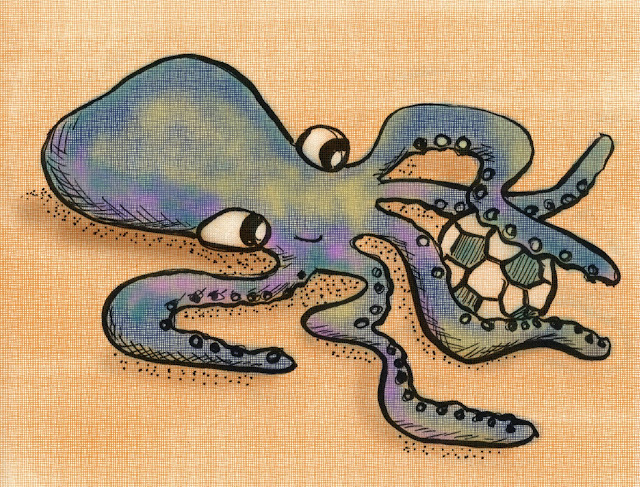 1) Brillaint idea of combining octopus with location! 4) Fun science facts FTW!! 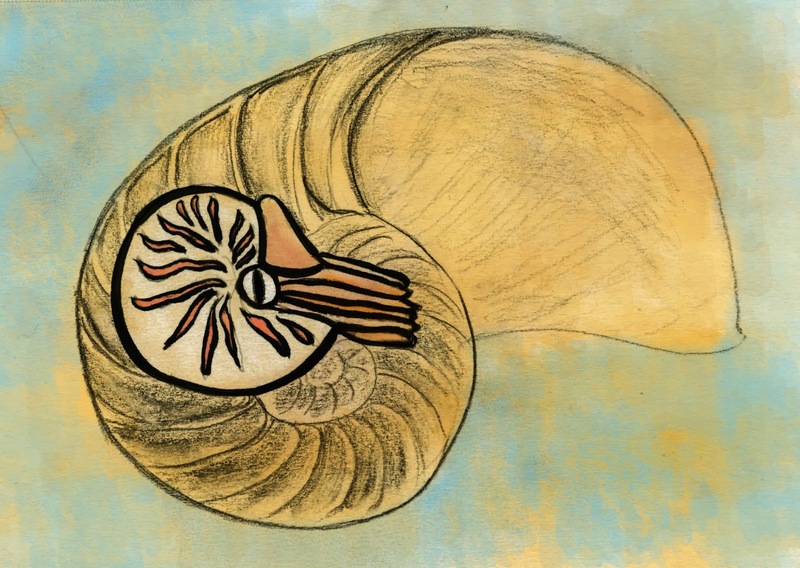 2013 New Voices Award Winner Announced!